It's a special honor and a privilege to have the opportunity to serve as your new President of GALA. I look forward to an exciting year working on your behalf as well as a chance to meet and partner with other nonprofits to help them and to promote the Arts. Our outgoing President, Kevin Bird, deserves an enormous thank you from all of us. Kevin's leadership, vision and dedication have played an important part in making GALA the strong, successful organization it is today. Luckily for all of us,Kevin will continue to serve on the board and I can rely on his wise counsel. As GALA embarks on its 15th year, I hope you share my pride in our organization andall that we have accomplished. Without the effort, commitment and talent of the board members, GALA would not be a continually growing organization. I thank each and every one of them. I would also like to thank all of the volunteers that have helped us withour events. I welcome Bethany Price, a new member of GALA's board. Bethany is a musician and a business owner. We are fortunate that she will be serving as our musician coordinator. Bethany is apassionatesupporter of the Arts and she will be a great asset to our organization. I would like to personally encourage you to get involved, to reach out and connect with us. I want to commit to you that GALA is here to represent you. We need your support, ideas, input, and initiative. We currently have three board/volunteer positions open: Secretary, Grant Writer andVolunteer Coordinator.If you are interested in being a part of our team, please email me your resume at giordano@verizon.net. Bring your camera and/or sketch pads (no paints or messy mediums) and tour the museum and grounds. Create one or two 2-D pieces of art over the summer months inspired by the 22 room mansion or gardens. Visit the museum as many times as you wish during the museum's regular tour times. Museum tour fees are $5, but GALA members may tour free for an entire year by becoming a member of the Museum at a discounted rate of $15 (normally $25). Just let the Museum staff know you are a GALA member when you join. GALA will hold an exhibit at the museum displaying the results of your inspiration with an opening reception on Saturday, September 19th from 1:00 to 5:00 p.m. The opening will include music performances and refreshments. Watch for the Call for Entries with further details! Pre-registration and GALA membership will be required to participate in the show. Are you spending the summer creating new artwork? GALA will resume our Artists Critique Group meetings in September. Plan now to join us for coffee and conversation. Get some feedback on and insight into what you've created. Participate at the GALA booth or with your own booth! purchasing our wine is a super way to support the local arts community. They make very creative and tasteful gifts as well. 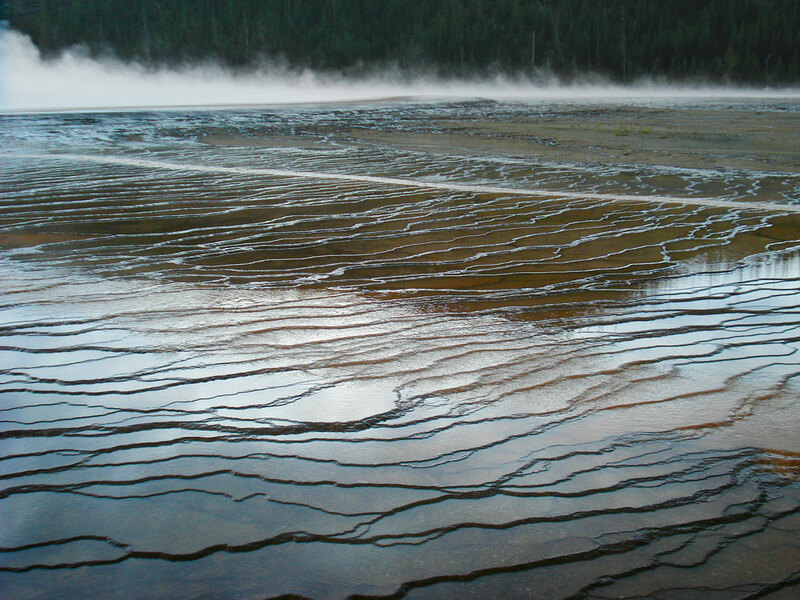 Anna Ruuska's photograph "Midway Geyser Basin" received an Honorable Mention award at this year's Fitchburg Art Museum 80th Regional Exhibition of Art and Craft. A number of other GALA members also had their work accepted into this juried exhibit! The show will be on display at the museum until September 6th. I Paint - because my spirit calls me - to capture the site and senses that surround me. Paint is the material that represents the world outside myself. In my efforts to capture the likeness, I am trying to find a way to reconcile the physical struggle with paint to a narrative impulse to represent the personal. Through working with observed imagery, all of my senses, and some other mysterious element, I am trying to create believable worlds on the canvas or surface. The culmination - I try to relay to the viewer the joy, wonder, color and force of nature which surrounds us in each of my art works. 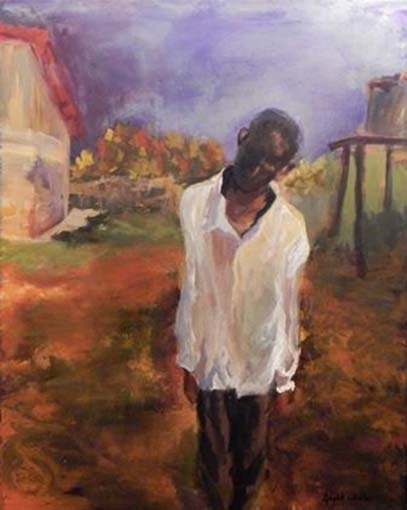 Utilizing color, painterly techniques and sensitivity to the subject matter allows me to portray the "sense of place" and emotions that I interpret from my subjects. The photographic art of Denise Jacques is on display at the Center for Wound Care, Heywood Hospital, 242 Green Street, Gardner during regular office hours, now through September 15. Denise lives in Gardner and is the Office Supervisor for Heywood Cardiology. She took up photography as a hobby about 3 years ago, has been a member of GALA for the past year and a half and have won 1st and 2nd place in recent GALA exhibits. 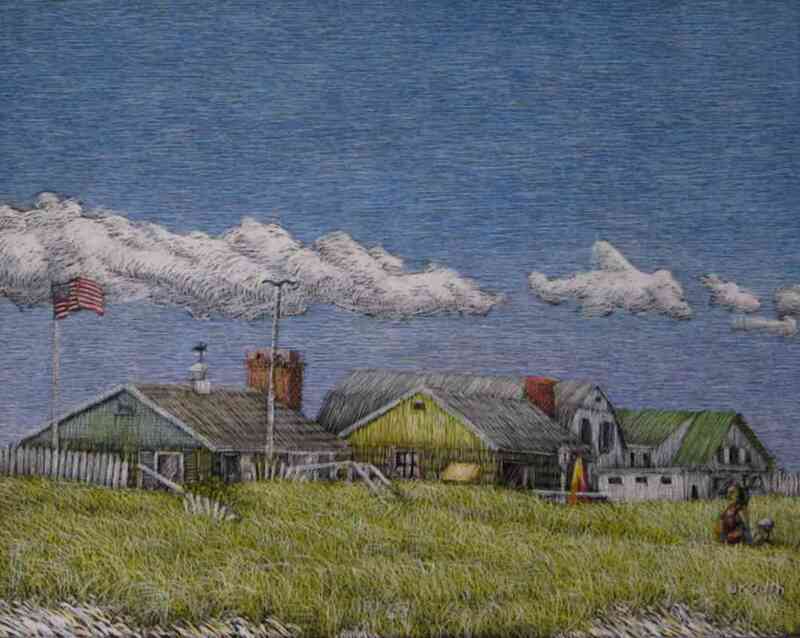 Joe Smith (www.joeksmith.com) has had his scratchboard painting, At the Beach, accepted in the Cape Cod Museum of Art's Structures and Remnants show to be held August 22 to October 15 at the museum in Dennis. The artist's reception will be held August 27 at 5:30 p.m.
Another of Joe's scratchboard works, Beech, has been accepted into the Copley Society of Art's summer members' show, Expected, to be held July 1 to August 19 at the Society's Gallery at 158 Newbury St. in Boston. Joe Smith will also have an exhibition of his landscapes at the Athol Public Library, titled, Places I Remember; pictures celebrating the special places in his life. 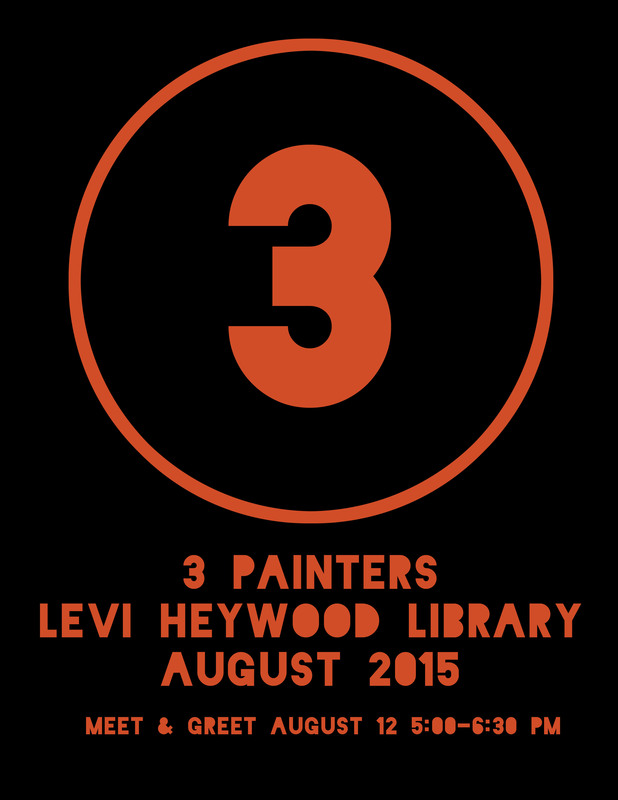 The show runs Monday, August 3 to Friday, August 28 and is open during library hours, Monday - Friday, 9:30 - 5:30. Pam's piece, "Last Light on Millbrook", has been chosen to be part of the "Art in the Loft" exhibit at the Millbrook Winery in Millbrook, NY. The exhibit runs from May 18th through November 7 where the People's Choice Wine Label winner will be announced at the November 7 closing reception. The Hudson River Valley is rich in the arts and history. If you want to learn more visit Pam's website, pamshortart.weebly.com for links on the area. The Jaffrey Civic Center is very pleased to announce a photography exhibit by Hue Way He of New York City in the first floor Auditorium Gallery beginning on Friday, August 7 and running until Saturday, August 29. A violin playing kid; An engineering student; An advertising creative; and finally, A photographer! "I try to capture the serene, and to a degree, surreal moments of our lives and environment. My subjects are mostly the cityscapes of New York City and lands1capes of China, Tibet and Nepal. I intentionally display them side-by-side to highlight the contrast between two equally beautiful environs: one developed, civilized, mechanized; the other, natural, wild, elemental. All my works are photographed, processed, printed and finished by myself." Next to the Library, parking in rear. Hours Tues: 10-6, Wed-Fri 1-5, Sat 10-2. 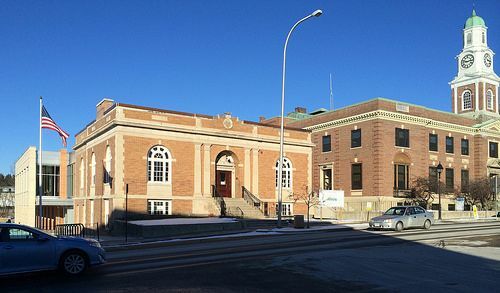 For more information about us, call 603-532-6527, e-mail us at jaffreycntr@aol.com, find our website, www.jaffreyciviccenter.com, or "Like" us on Facebook. Paint the night and all that shines, glows and glitters. From a bustling city or town street to a serene, moonlit townscape or country scene, create a mood-filled nocturnal scene that explores a high contrast palette of colors from rich, gorgeous darks to luminous lights. Work from your photos or sketches. The instructor will have some photos as well. 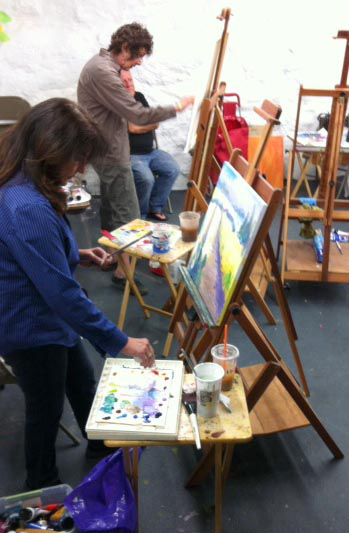 Demonstration, critique and lots of painting time. Materials list, all levels from beginner through advanced welcome. as part of the "Treasured Places: Protected Spaces" program. 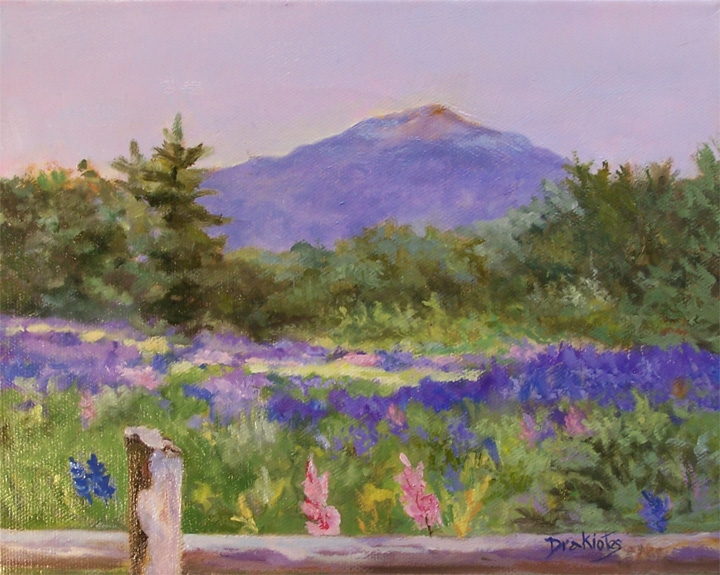 Ms. Wharton is a Copley Master and holds professional memberships in a dozen juried national art organizations including the Pastel Society of America in New York. She teaches workshops throughout New England and the British West Indies. She is also on the faculty of the Worcester Art Museum where she teaches master classes. Ms. Wharton has been instrumental in the development of her student's careers. In 2000, her former students formed the "New Worcester Art Museum Group" in her honor. Charlotte sat on the Cultural Advisory Board of the Worcester Bancroft School and has served as Chair of the Membership Committee of the Copley Society of Boston. This lecture is open to the public. Attendees are invited to view the featured art exhibition at the conclusion of the speaker event. 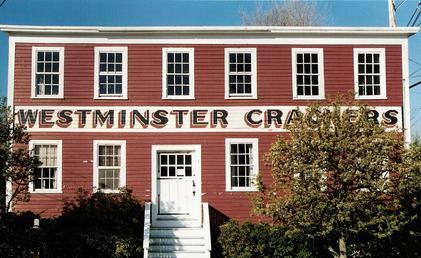 Click here for more information on the exhibit and the Historical Society of Cheshire County. All levels of Drawing, Figure Drawing, Painting, Ceramics, Sculpture, 2D and 3D Design. Classes are open to majors, non-majors, and seniors (tuition free). 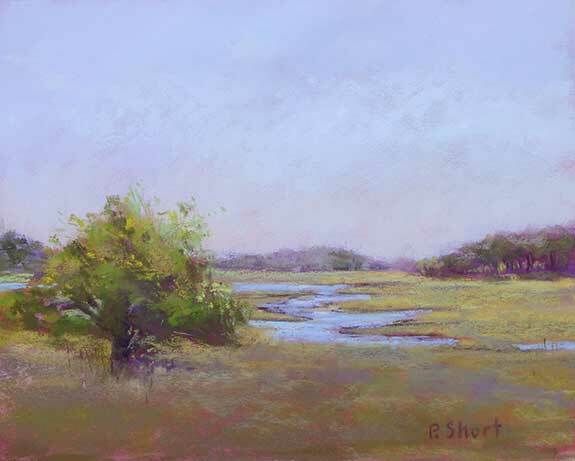 The Workshop Committee is considering a pastel workshop with Lisa Ober. It would be a 2-day workshop (weekend) in either 2016 or 2017. The tentative fee would be $250. If you would be interested in this workshop (no commitment now), please let us know so we can see if there is enough interest to pursue this workshop. schedule for spring and summer is now up! All workshops are on Saturdays unless otherwise noted. Emerging and established photographers who live or work in New England are invited to submit work to the New England Photography Biennial, Danforth Art's highly-selective exhibition of innovative, contemporary photography. Figure/Portrait Themed Exhibit 2015 in August. from 5:30-8:00 p.m. and the exhibit will be hanging in our gallery until August 26th. Cash prizes will be awarded to 1st, 2nd, 3rd, People's Choice, and Facebook Fan Page winners. For more submission details and the registration form please visit the gallery section of our website. All artword is for sale and on view in our gallery until August 26th. Stop by and cast your vote for the people's choice award. In voting, you will also be entered into a raffle for $25 to Post Road Art Center. It's not too late to get started. For artists that are still looking for inspiration, the gardens around the museum are almost in full bloom! Get to the museum soon before you miss it! 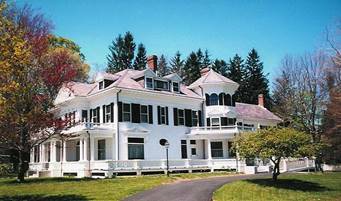 Bring your camera and/or sketch pads (no paints or messy mediums) & tour the museum & grounds. Visit the museum as many times as you wish during the Museum's regular tour times. becoming a member of the Museum at a discounted rate of $15 (normally $25). We will hold an exhibit at the Museum displaying the results of your inspiration with an opening reception on Saturday, September 19 from 1 to 5. The opening will include music performances and refreshments. GALA will participate as a vendor at the festival. We need volunteers to take shifts at the GALA booth. Volunteers staffing the booth would talk to and offer informational material about GALA to visitors. Email giordano@verizon.net if you can help. to help promote our organization. Email giordano@verizon.net to obtain a sign & thanks! Click here to apply for your own booth at the festival. There is currently no set deadline but if it is within two weeks of the Festival date, please contact Pastor J. Lillie by emailing pjlillie.1@juno.com or calling 978-297-3125 ext 105 to ensure that there is still space before you submit your application. 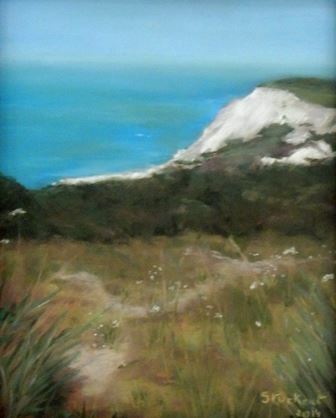 "On the Way to the Cliffs"
The Post Road Art Center will be having an inspiration themed art exhibit in September. August 20-27th during our regular business hours and the opening reception will be Thursday, September 3rd 3:00-5:00 pm. is making a few changes to the application for the 2015-2016 school year to help applicants better describe their proposed projects. A 2015-2016 STARS sample application will be available on the MCC website on July 30. The STARS application opening date will be Tuesday, September 29 at 3:30 p.m. Residencies may start November 10 and after. Applications will be reviewed in the order received and funding notifications made by November 6. Contact Program Manager, Diane Daily (mailto: diane.daily@art.state.ma.us) for more information or help developing your application. of Ashburnham, but the painting MUST BE of a location in Ashburnham. There is no minimum or maximum size (within reason) and all mediums are acceptable. Photography is most welcomed. 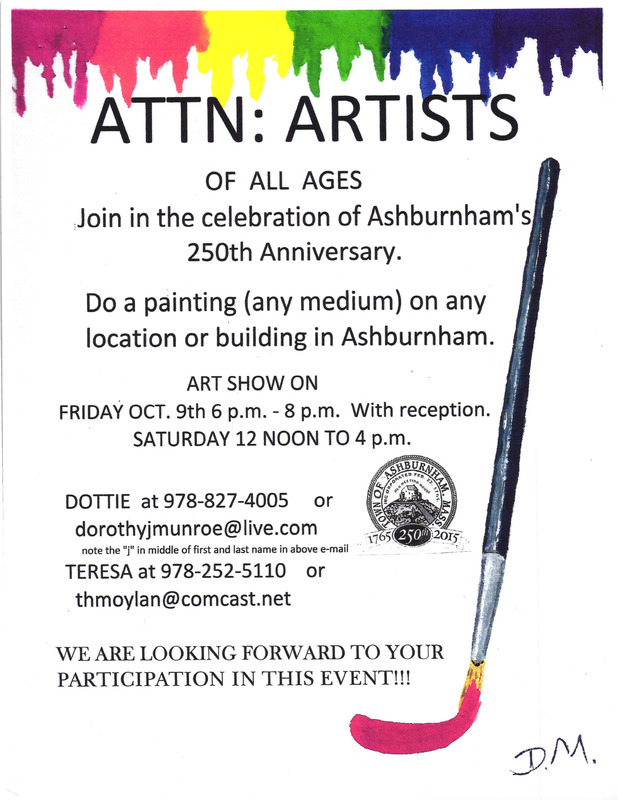 There will be an Art Show on October 9th and 10th in Ashburnham. To register (one must register) and receive further information please e-mail me at dorothyjmunroe@live.com (note the letter "j" between my first and last name), or call me at 978-827-4005. By now you've probably heard that due to a State appropriation cut we have had to suspend the deadline for the General Project Grants for Community Engagement category. We are devastated that we had to make this decision, but the loss of the Federal match for the cut State funds means that - unless the State funds are restored - we will not have the money to fund the program. Thank you in advance for your help on this issue. Please email me if you need talking points. Please share your stories, and contact your representatives. We cannot let this program go! If you are interested, please send a message introducing yourself and your experience with this type of activity to Vicki Heidorn info@galagardner.org or call 978-630-2340. There are many ways to volunteer! Please contact Vicki Heidorn info@galagardner.org to express your interest in helping out with our organization.